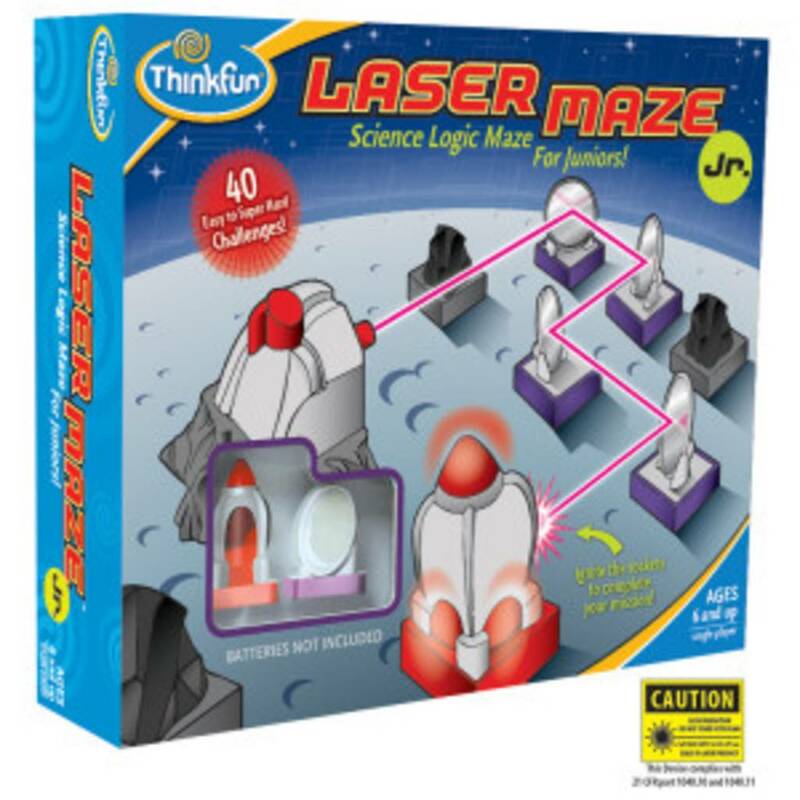 Your Mission: With Think Fun's Laser Maze Jr, you'll use science and logic to reflect the laser beam to the rockets so they can safely return to earth. But watch out for space rocks! 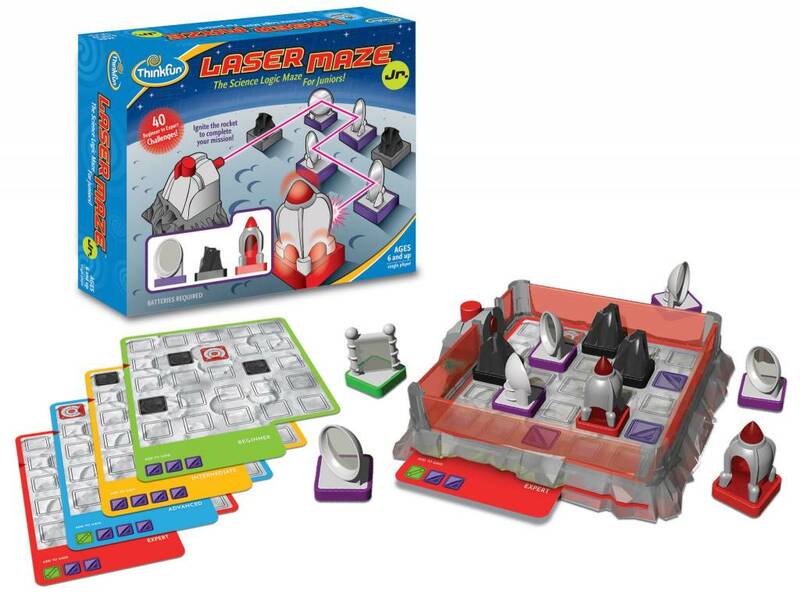 It's a tricky job for any scientist, but with a little brain power you’re sure to ignite the rockets and your mind. Select one of 40 challenge cards. 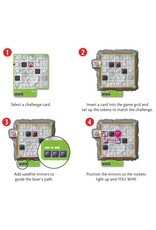 Insert the card into the game grid and set up the tokens to match the challenge. 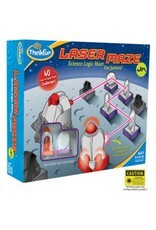 Add satellite mirrors to guide the laser's path. 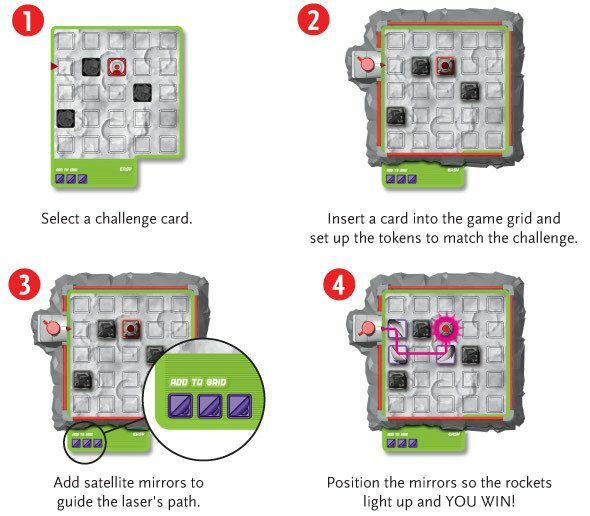 Position the mirrors so the rockets light up and you win!